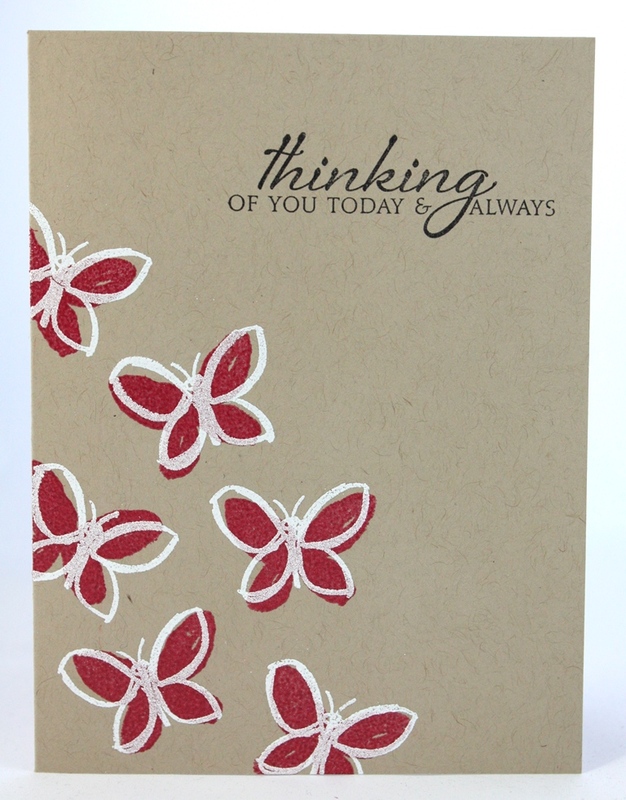 This week at Just Add Ink we are just adding BUTTERFLIES! 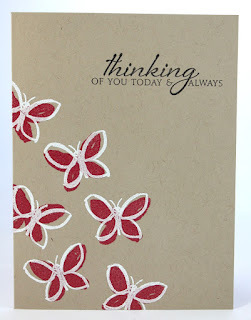 I had so many ideas on how I could add butterflies to my card this week, in fact I did make a couple of cards but they all weren't a challenge for me.... so I decided to really challenge my self and make a one layer card!!!! I really like this sentiment as it can be used for so many different occasions. The design team have out done themselves this week and have created some spectacular cards for your inspiration. Hop on over to the blog to check them out!! Don't forget to link up your project too. Today I'm thinking of my BFF who is having a huge weekend and I hope everything goes well - hugs! This is so sweet, Trish. Love how you've embossed your little butterfly group - they really pop beautifully off the page. Go you for managing a single layer card. That really is a challenge. I admire you for making a single layer card, and knocking it out of the park, Trishie! 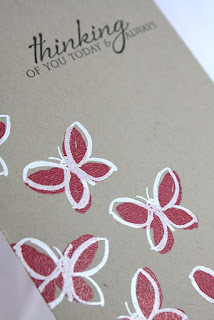 LOVE those bold, bright butterflies; I'm sure the texture against the kraft card is stunning in real life. Such a gorgeous card Trish! I envy you being able to make a one-layered card look so detailed and elegant!